Keith Foran and Sherra Murphy: Animation at the National Film School builds on a strong tradition of animation studies at Dún Laoghaire Institute of Art, Design and Technology (IADT). Students are offered an exciting mix of creative and technical learning. The programme focuses on providing key skills in the first two years and then broadens out to allow students to develop within their preferred areas of animation artistry as they progress. A variety of classes focused on studio-based work is conducted in conjunction with academic studies. We offer students a body of skills and practices in the field of animation as a creative multi-discipline, utilizing both traditional media and digital technologies. 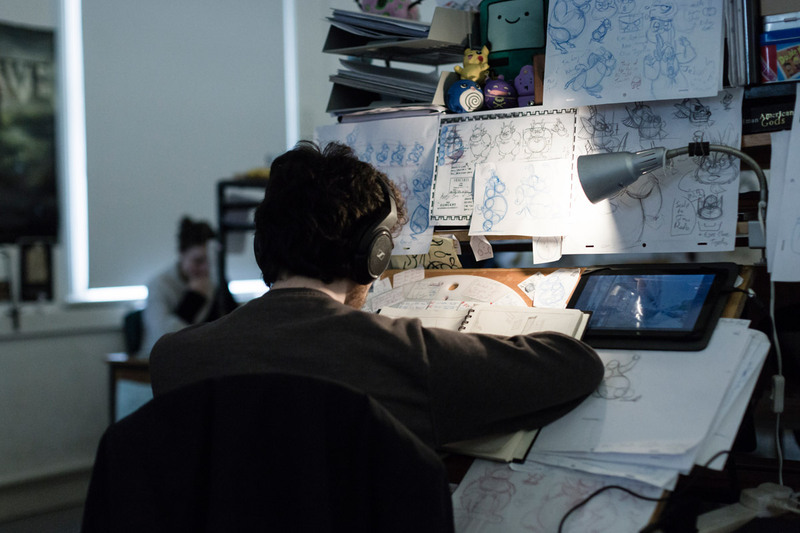 Animation sits within the National Film School as part of a suite of filmmaking and storytelling disciplines, offering students a range of creative and critical approaches. Modules in the first half of the course (stages 1 and 2) prepare students through skills in animation principles and techniques, digital skills, life drawing, design, storytelling, history and theory of film and animation, and critical and cultural topics. The second half of the programme (stages 3 and 4) emphasizes individual creative choice, identification of areas of specialization within the field, collaborative team working, and growth of self-directed creative, critical and research skills. Overall, students have the opportunity to engage with the production of animated content, industry-led projects, collaborate on peer-led projects, and present themselves in professional contexts. Keith Foran and Sherra Murphy: We are part of a small college dedicated to the development of creativity and entrepreneurship across the creative and cultural sectors. We offer a diverse range of courses, and we collaborate with our students to explore new opportunities and new ways of working. Our students benefit from small class sizes, exposure to a wide range of ideas and disciplines, and a teaching staff that knows them by name. Our campus is open and welcoming, located at the edge of a beautiful historic seaside town. 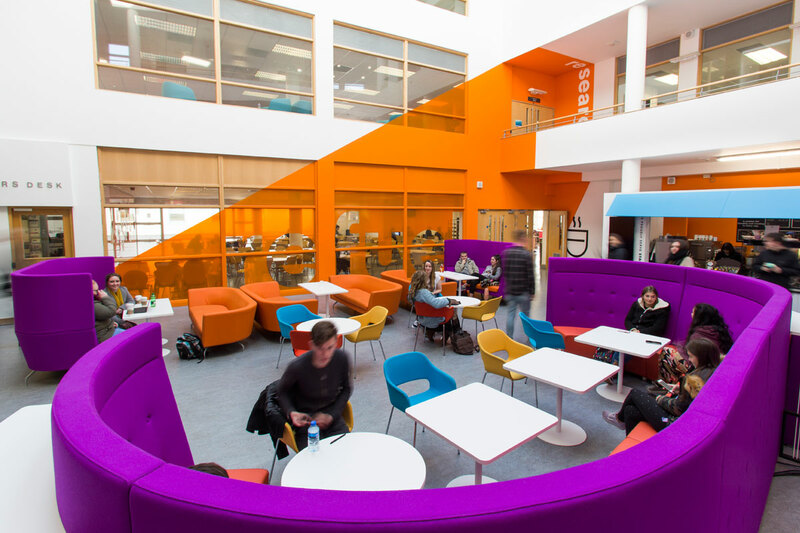 The animation studio mimics an open-plan professional working environment, where the students put their own stamp on the space and there is a supportive creative vibe that allows for cross-pollination among year groups and encourages collaboration. We stress the relationship between practice, research, theory, and making it so that our student become thinking practioners in their medium. The last two years of the programme are student-led, so that students have the opportunity to make choices about the path of their practice. Our programme has a balance of taught elements and independent creative activity, so that in working toward their degrees, our students are guided toward defining their own roles, making narrative and stylistic choices, pursuing independent narrative interests, and conducting research in self-selected topics. Students become the drivers behind realising their own creative choices, supported through mentorship from the teaching staff. Keith Foran and Sherra Murphy: At IADT we’re all about making things happen. Our courses are designed to make things happen too: to create graduates who are curious collaborators and tech savvy innovators; who are storytellers and creators. We look for interesting people who are willing to work as part of a group, who can offer something to their peers, and who want to work toward realising their own potential. 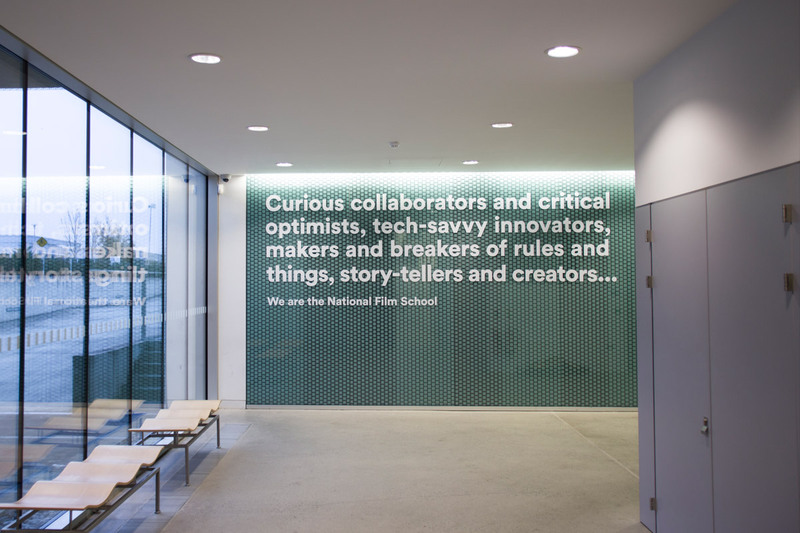 Animation at the National Film School asks prospective students to submit a portfolio showcasing their creative strengths and personal interests while demonstrating their enthusiasm for the course. – A variety of observational drawings – life drawing, drawings of friends, family, animals, landscapes, objects – anything that shows us you are looking at and engaging with the world you see. – A range of creative work – animation artists have creative, conceptual, production and storytelling skills, so show us any digital work, character designs, plans, ideas. Sketchbooks or drawing journals would be most welcome here, as they show your process. – A selection of your best original artworks – your portfolio should show your interests in art, animation and the world around you as well as showing the materials and techniques you use to create. – A minimum of two storyboards, showing us how you might outline key moments of a film or animation sequence, focusing on actions, events and emotions. Your storyboards might set out ideas for short animated films, or derive from looking at a sequence of film that’s already been made. Show us your cinematic thinking. Keith Foran and Sherra Murphy: Our vision is that students leave us with the skills and confidence to play an active and effective role in the future of animation, or, if they wish, to shift into an area they hadn’t imagined before. Some of our graduates move into animation companies, some start their own companies, some pursue graduate education, others become educators. We have even produced a few administrators and bankers, who gained transferrable skills that allowed them to change career paths. 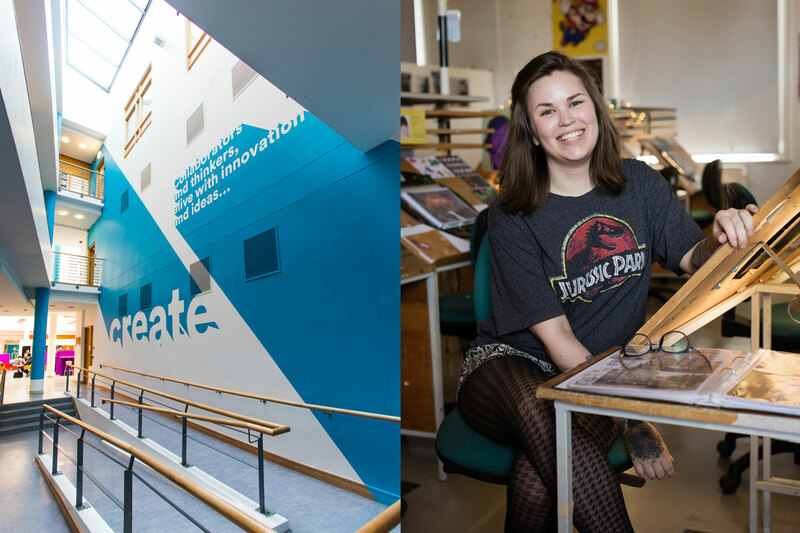 IADT overall has a strong record in post-graduation employment, partly due to the college’s commitment to higher-level critical thinking skills as part of all our creative programmes. As animation educators, we work to guide students to the professional specialisms that suit them and will provide a satisfying creative working life. The programme provides an educational environment where students develop a comprehensive understanding of the opportunities and challenges of contemporary animation, where they can explore and engage with many aspects of traditional and contemporary animation practice and criticism, encouraging the development of individual creative responses and abilities relevant to a professional career. The programme emphasises the development of independent, creative, and flexible thinking, so that students have the critical skills and abilities to choose their own career paths into the future. It is through the combination of the development of key technical skills with conceptual and creative skills that the programme aims to produce students who have a wide range of options for further development and employment.